It’s hard to cut through endless images of bombs and body bags. Thirty years of war has made Afghanistan—one of the least-developed countries in the world—a poster-child of suffering. Beyond daily terror and unspeakable loss of life, carnage from one conflict or another has trampled orchards, ravaged irrigation networks, and laid waste to infrastructure. Development aid has ignited new hope. Afghanistan’s economy has begun to improve and in the last six years has grown 12 percent annually, mainly thanks to agriculture. 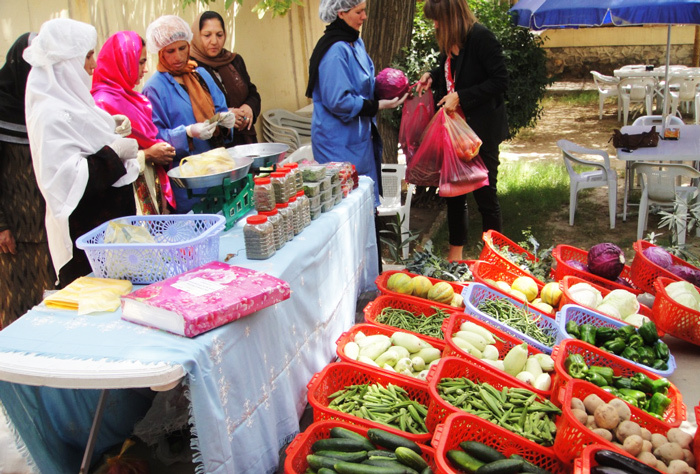 One key player in this improvement has been the Mennonite Economic Development Associates (MEDA) initiative, Through the Garden Gate, which has invigorated Afghan women to redefine themselves as producers of food and community leaders. Women and their children dominate the frontlines of poverty. More than two-thirds of the world’s poor are women. Girls are twice as likely as boys to suffer from malnutrition and childhood diseases. Helping women, even a little, goes a long way. In MEDA’s experience, income in the hands of women contributes more to household food security and child nutrition than income controlled by men. It also brings women greater family status and community respect. 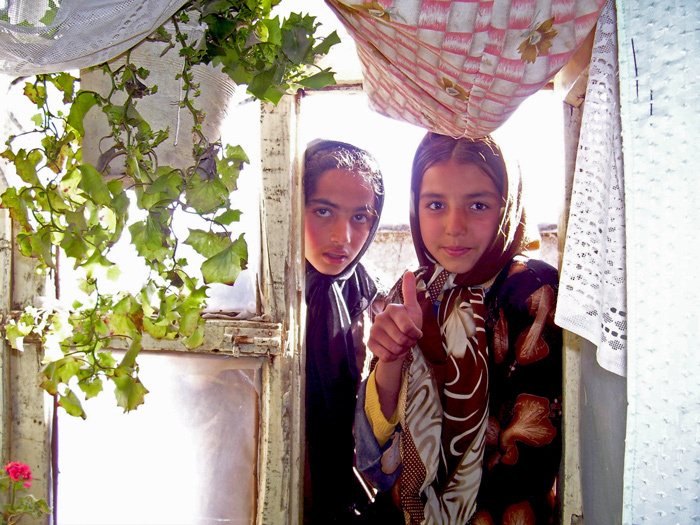 Through the Garden Gate (TTGG) was launched in 2007 as a four-year project funded primarily by the Canadian International Development Agency (CIDA). 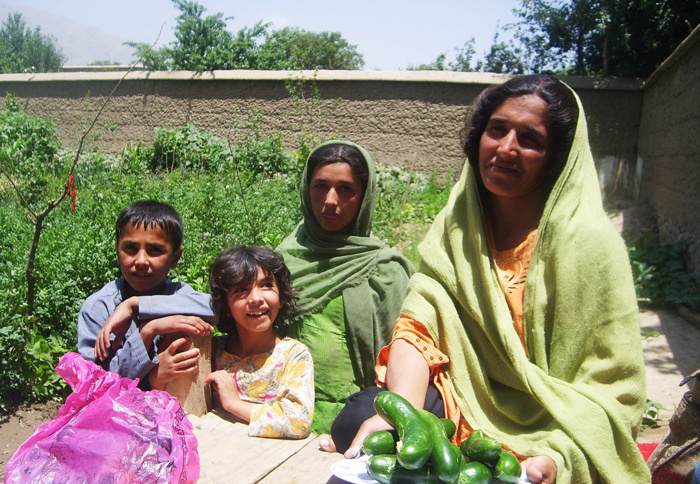 The goal of the initiative was to help isolated Afghan women in nine villages in Parwan province to develop backyard gardens and boost family income. TTGG sought to strengthen women’s access to markets, helping them to become robust economic contributors. The key components of the program were training and market linkages. After decades of war, a whole generation needed farming and horticultural skills. The target crops were carrots, cucumbers, onions, potatoes, tomatoes, and grapes. These were used first to feed the families and then to boost income by selling any excess. In order to deliver training and technical information as widely as possible, TTGG employed a “lead farmer” strategy. Each of the nine villages had a facilitator who selected ten local women with entrepreneurial zest and ability to act as lead farmers. The training sessions focused on the development of both farm and business skills. Women received instruction on topics ranging from crop rotation and grape trellising to disease management and storage practices. The business component developed record keeping practices, marketing approaches and food packaging and processing. Each of the lead farmers were then responsible for passing this knowledge on to up to twenty-five other farmers. At weekly meetings, the newly appointed growers discussed techniques and shared new insights from demonstration plots. The farmers became adept at planning their tiny business ventures and getting a market sense of where to sell. They learned what attracts customers to buy their vegetables, and how to sort and grade their products for market. Sales agents were specially trained in how to communicate with clients, input suppliers, and markets in large centers. Fawzia, poor and illiterate, is only thirty-five, but already looks like a grandmother. She was married out at age twelve into a life of misery and servitude. Her family suffered greatly under the Taliban, losing everything but a tiny plot of land on which they struggled to subsist. She was invited to be part of a project survey by MEDA and its partner, the Afghan Women’s Business Council. “I couldn’t believe there would be people who wanted my attention,” Fawzia says, recalling her astonishment. She agreed to participate and blossomed under the training. She learned how to prepare land for planting and how to process and market her crops. “You should see how much I can grow now!” she says. Before long, her tiny piece of land was earning $175 a year, a huge windfall for her. Fawzia also joined a literacy class so she could learn to read and write. “I can now send my children to school,” she says. Wally Kroeker is the Director of Publications for Mennonite Economic Development Associates (MEDA).